The Virginia Distillery Co. is nestled in the Blue Ridge Mountains—but its latest release recalls another kind of highland. 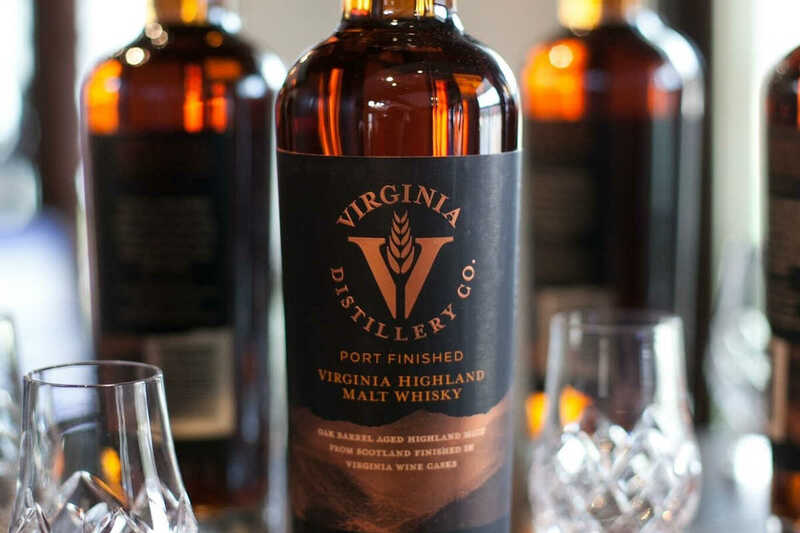 The Port Cask Finished Virginia-Highland Whisky is made by matching their on-site distilled single malt (yet unreleased, but slated for 2019 or 2020) with a Scottish single malt. That unique marriage is then consummated in a port cask. The Port Cask Finished Whisky is the flagship offering from a trio of Virginia-Highland whiskeys, which also includes the Chardonnay Cask Finished and Cider Cask Finished expressions. It pours a light, reddish gold in the glass and has stewed raisins, brown sugar, coffee, and just a touch of cured ham on the nose. It starts with a cool temperature and a rich, silky mouthfeel. The initial flavors are of dark chocolate and sweet brown sugar. They’re joined by coffee and dried figs at the center of the palate as the heat dials up. The conclusion is marked by raisin and a previously unseen element of smoke, which carries the spirit off to a long, tannic finish that’s dry, slightly chalky and just the right amount of mouth-puckering. It’s a fascinating combination of flavors and textures that are rarely found in the same bottling. If the Port Cask Finished Whisky is an augur to what the Virginia Distillery Co. has in store with their single malt, we should all get excited.